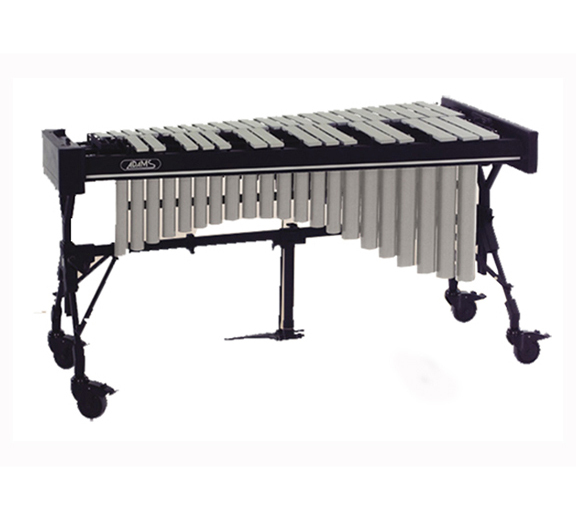 ADAMS CONCERT VIBRAPHONE VCNV30 . WITHOUT MOTOR. Range: 3 oct. F3-F6 Bars: Aluminum 57-38 mm Pitch A: 442 Hz. Frame: Voyager Length: 153 cm Low end: 75 cm High end: 40 cm Height adjustment: 85-105 cm wrap and sticks. LÜTFEN ÖN BİLGİ VE SİPARİŞ İÇİN MÜŞTERİ TEMSİLCİSİ İLE GÖRÜŞÜN.